Agarwal, N., Kapur, D., & Tognatta, N. (2012). The skills they want: Aspirations of students in emerging India. Centre for advanced study of India, PennArts & Sciences. Working papers series – 12-03. Retrieved from https://casi.sas.upenn.edu/sites/casi.sas.upenn.edu/files/bio/uploads/The%20Skills%20They%20Want,%20Aspirations%20of%20Students%20in%20Emerging%20India%20-%20Aggarwal,%20Kapur,%20Tognatta.pdf. Angom, S. (2015). Private universities in India: Growth, status and concerns (NUEPA occasional papers: 46). New Delhi: National University of Educational Planning Administration Retrived from http://www.nuepa.org/New/download/Publications/OP_46_-_Sangeeta_Angom.pdf. Institute of Human Development. (2014). India labor and employment report. Retrieved January 30, 2017 from http://www.ihdindia.org/ILERpdf/Highlights%20of%20the%20Report.pdf. International Labor Organization (ILO). (2016, July). India labour market update. Retrived from http://www.ilo.org/wcmsp5/groups/public/%2D%2D-asia/%2D%2D-ro-bangkok/%2D%2D-sro-new_delhi/documents/publication/wcms_496510.pdf. (report). Meyer, C., & Birdsall, N. (2012). New estimates of India’s middle class: Technical note. Centre for Global Development Retrieved from http://www.cgdev.org/doc/2013_MiddleClassIndia_TechnicalNote_CGDNote.pdf. 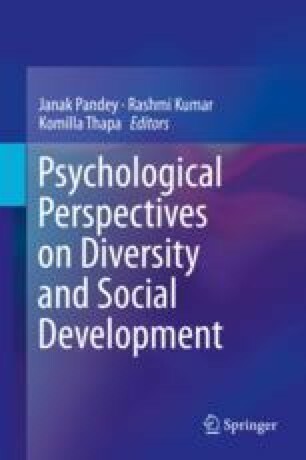 Papola, T. S., & Sahu, P. P. (2012, March). Growth and structure of employment in India: Long-term and post-reform performance and the emerging challenge. Institute for Studies in Industrial Development, New Delhi. Retrieved from http://isidev.nic.in/pdf/ICSSR_TSP_PPS.pdf. Rajeev Gandhi National Institute for Youth Development (2010). India youth development report. Retrieved from website http://www.rgniyd.gov.in/content/rgniyd-annual-reports.pdf. Transparency International. (2016). Corruption perception index 2016. Retrieved January 15, 2017 from Transparency International Retrieved from website http://www.transparency.org/news/feature/corruption_perceptions_index_2016. Vasavi, A. R. (2015). ‘Government Brahmin’: Caste, the educated unemployed and the reproduction of inequalities. Max Weber Stiftung. TRG Poverty & Education. Working Papers series. Retrieved January 31, 2017 from Max Weber Stiftung website https://www.ghil.ac.uk/trg_india/publications.html. World Bank. (2016). Population data: World Bank open data. Retrieved from (http://data.worldbank.org/indicator/SP.POP.TOTL/) on 30 January, 2017. http://data.worldbank.org/indicator/SP. World Economic Forum. (2015). The human capital report. Retrieved January 30, 2017 from http://www3.weforum.org/docs/WEF_Human_Capital_Report_2015.pdf.